Load index is a designation of how much weight a tire can carry. Of particular importance in this case, a higher load index can have a positive effect on a tire’s traction, fuel economy, and longevity. And because tires with a higher load index can carry more weight, they can be operated at a lower inflation pressure, which creates a larger footprint—spreading a machine’s weight over a larger area for reduced compaction and less rutting. A more substantial footprint also improves traction, which helps keep machines from tearing up fields. The load index is also accompanied by a speed index, which designates the speed rating at which the load index can carry. In most cases, moving to a higher load index tire with the same speed rating (or higher) can also translate to the ability of the tire to be operated at a lower air pressure. When in doubt, consult your local Alliance Tire dealer for more information. Load and speed indexes can easily be found on ATGtire.com or on our mobile app. After weighing the customer’s sprayer to get the axle loads of the machine and consulting the inflation table for its tires, the team at Graham Tire quickly realized that the tires were not up to the task of handling the machine’s weight when fully loaded at an ideal air pressure. 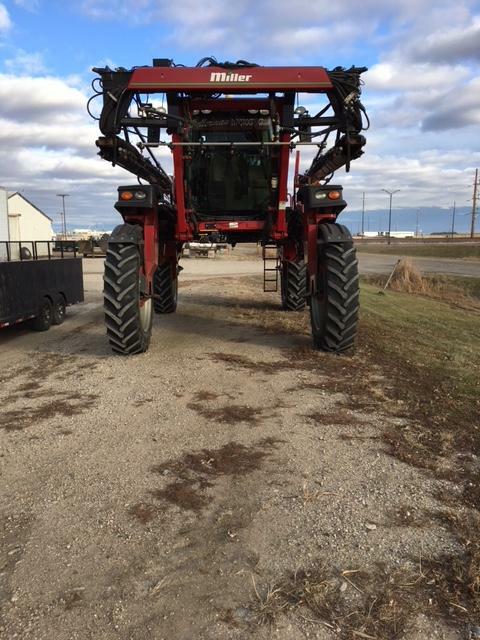 Because the customer was operating an extremely heavy sprayer and had a specific tire size in mind, they were struggling to find a tire that was capable of carrying the weight while being operated at a lower air pressure to reduce compaction in the field. After discussing a few options with the customer, the folks at Graham agreed to outfit the sprayer with four new Alliance 356 tires. Specifically engineered to handle heavy-duty jobs, the 356s were up to the task thanks to their strong nylon casings, thick sidewalls, and, of course, high load index. 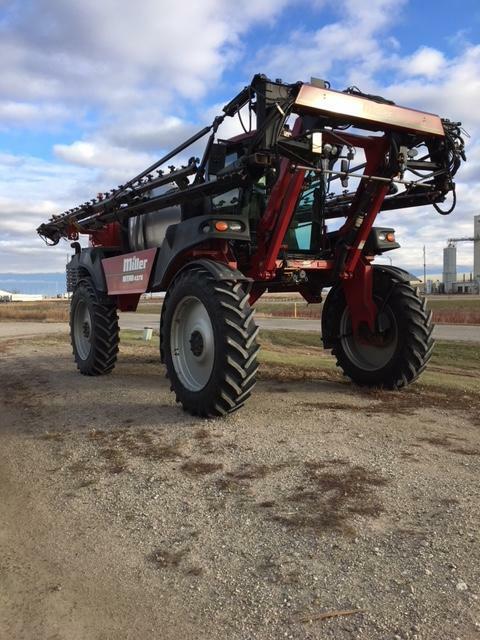 The results of the change to Alliance 356 tires was immediately apparent, as the sprayer gained an additional 3,4000 pounds of capacity per tire while maintaining the same speed index of the old tires. More so, since they could lower the air pressure, they gained 40 more square inches per tire on the ground by making the switch, which improved the machine's traction and fuel economy while decreasing rutting. 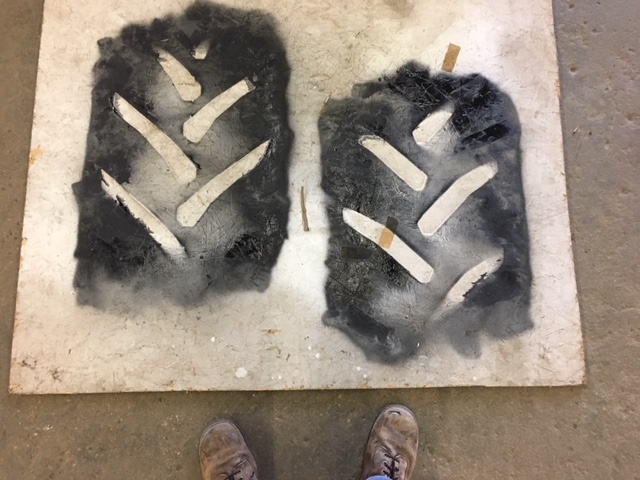 The huge increase in footprint size is also paying dividends below the surface by reducing soil compaction and keeping the customer’s soil happy and healthy. The new Alliance 356 tire (left) put 40 more square inches—and more lugs—on the ground than the previous tire (right). Thanks to the people at Graham Tire for taking the time to analyze their customer’s problem and finding a smart solution to it. At Alliance Tire, we pride ourselves on building long-lasting, high-performing, and affordable tires, but we depend on the knowledge of dealers like Graham to use our tires to solve the everyday challenges facing farmers in the field. Take a minute to watch this video and learn a quick tip from ATA's James Crouch on how to make sure your tires are properly inflated with a truck scale…or just a tape measure.